Throughout the nation, the quiet soldiers who labor behind the scenes in our state affiliates and locals are volunteering to become a new marching band touting the good of the Learning Disability Association. Recognizing our vital need for members, each affiliate is asked to pledge to seek a 10% increase in membership throughout this year. We are learning to use the 2014 IDEA Publication: “Leading by Convening: A Blueprint for Authentic Engagement.” Focus began with distribution of “Reasons to Become an LDA Member.” Asking people to join is often the most forgotten approach, as simple as it may seem. Once approached, however, people need to understand the support they are receiving and also see the value LDA can play in their life. 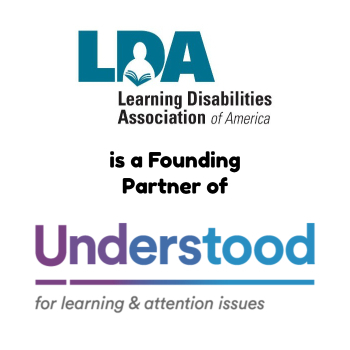 This leads us to understand how important it is that we raise LDA’s awareness in our local communities. We can’t hide ourselves under the proverbial bushel. We are advocating action through social media outreach. 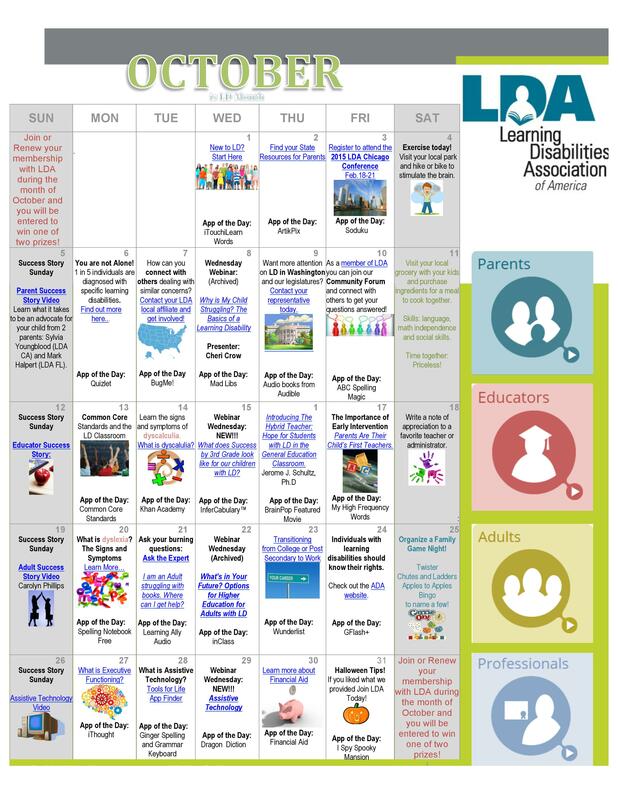 We have distributed information on “How to get an LD month proclamation from your Governor.” LD MONTH Visibility Lunches, seminars, and workshops are planned. Our second annual “31 Days of LD” calendar comes chock full of small and large ideas to raise visibility and increase branding. We have opened access to the Affiliate Intraweb, a part of the LDA website. Along with guidance from a brief video,locals can receive up to date membership information as well as other valuable data. 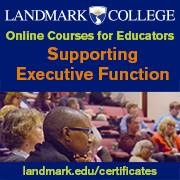 Articles are continually being published following the political newsstand are routinely carried in our weekly e-publication THE LD SOURCE: third-grade reading proficiency, early intervention, Common Core State Standards, high-stakes testing, and changing graduation requirements. 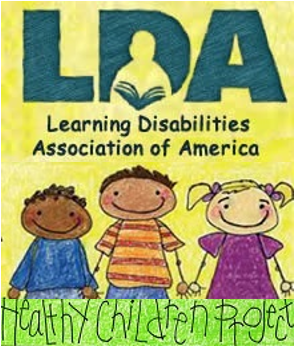 Our own healthy children project, as well as back to school tips, and any state and local issue that follows our national guidelines toward providing information for those individuals with learning disabilities are carried in our bi-monthly newsletter as well as added to the LDA America website. We encourage all to share with us so we can show off our information to others. Under launch is the best LDA local support ever! Personalized State Business Cards are coming with the grass roots in mind. Due to the ardent work of Beth McGaw, Board Member, financial support from the Learning Disability Foundation for which we thank them so much, and coordination between the Marketing/Advertising and Affiliate Support committees, we have a system ready to roll. 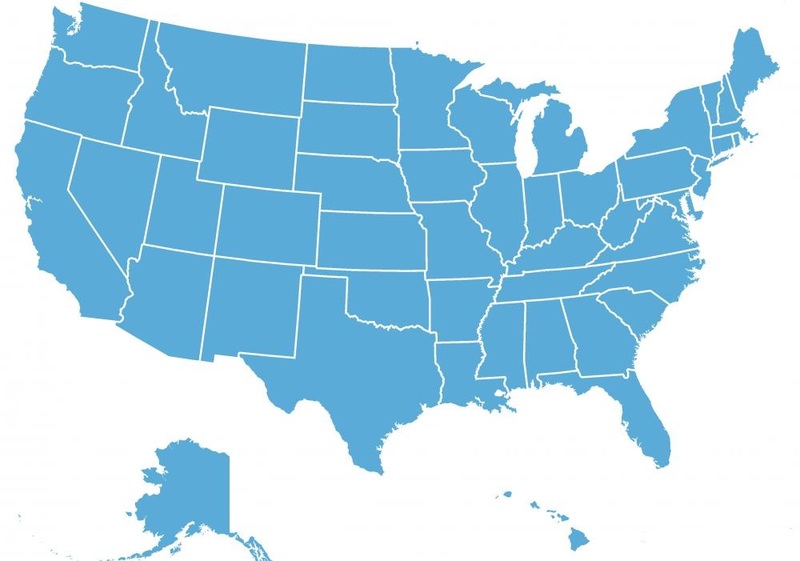 All State Affiliates need to do to receive their first 500 business cards is to fill out their State Affiliate Request Form with proper up to date information and send the request to Beth: bmcgaw@kidsenabled.org. Think about the impact we can have across the nation if each of those cards falls into the hands of a parent, professional, or adult with a passionate need for LDA. We know it will provide a personal touch. Easily kept in a wallet, easy to share with another, and guaranteed to be available when crisis hit. Congratulations to all who worked on this project. Beginning during LDA Month of October, the JUST ASK, phone connect will again be underway. This gives local and state volunteers and coordinators a chance to voice those opinions they need so often to have answered. We want to know what they need, what they want help with, who they need to guide them through problems, and also a chance to share: What Works? What Didn’t? Watch for the varied times your voice can be heard. Just in case you don’t have enough to do running your state organization; I have another request for you. Now is the time to survey your state for those that need to be celebrated in February at the National Conference. What activity has taken place in your state that is worthy of an Affiliate Accolade Award? Who is that Outstanding Volunteer that works tirelessly and needs recognition? What about the Sam Kirk Educator of the Year Award? Or, consider nominating someone for the Harrison Sylvester Award to an Adult with Learning Disabilities? Wouldn’t it be awesome to have a nominee for each of these from every state throughout our country? That is your challenge. We are great and are resilient, and together we can make a powerful difference. Joan is a many-year veteran working with those with ADHD/LD. She is the former Director of Lullwater School and currently the Director of the Community Resource Center that provides the Georgia Area a support system for attention and learning disabilities. She facilitates monthly support groups for parents, adults and women with LD/ADHD. She is also the State Presidents’ Representative to the LDA of America Board of Directors.